LaVida Massage has moved into a new corporate headquarters in Commerce, Mich. The 5,500-s.f. building also will house its newest massage center, a 13-room facility, owned and operated by LaVida founder John Hoose, that was scheduled to open February 10. Founded in 2007 in nearby Howell, Mich., LaVida Massage is a health and wellness massage center providing massage, facial, and cosmetic services. Johnny Rockets has opened its fourth restaurant in the Mexican state of Quintana Roo, in Cancun's premier shopping center, Malecon Americas. "Malecon Americas is a popular attraction among locals and tourists exploring Mexico's famous Yucatan Peninsula," said franchise owner Jose Antonio Taladrid. Johnny Rockets opened a restaurant in Mexico City in 1993, already operates two other Cancun locations, with another restaurant just south in Playa del Carmen on the Mayan Riviera. Founded in 1986 and headquartered in Lake Forest, Calif., the company has 280 corporate and franchise-owned restaurants in 27 states, including Washington, D.C., and Puerto Rico and 11 countries, including in Six Flags amusement parks and aboard Royal Caribbean cruise ships. NakedPizza has awarded a 10-unit area development contract for Louisville, Ky., and surrounding counties to an investment group led by David Lawyer. The upstart pizza firm, whose mission is to "hijack the $30 billion pizza industry with a healthier pizza," made sure to note in its announcement that Louisville is the home of Papa John's. In fact, the company says its "business model borrows its operational DNA from successful carry-out and delivery operations (e.g., Domino's and Papa John's)." In January the brand, which began franchising in December 2009, awarded a 50-unit deal in Florida and an 8-unit deal in Colorado and now has a total of 92 units under development. First Watch, a breakfast, brunch, and lunch chain, has signed a three-unit franchise agreement with Dabbour Enterprises LLC for Oklahoma City. The first is expected to open this summer. Ghassan Dabbour, president of Dabbour Enterprises, has more than 30 years of experience in the restaurant industry, most recently as a multi-unit franchise operator for IHOP. After eating in a First Watch restaurant in Kansas City last year, he says, "I knew immediately that I wanted to be a part of its growth and success." He recently sold his interest in five IHOP franchises and says First Watch "represents the future of the segment." 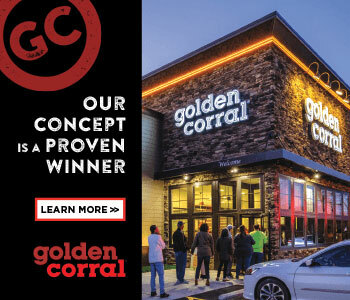 He cited the brand's "proven success over 26 years, its impressive management team, award-winning menu, and customer-focused service philosophy" as reasons for signing on. Based in Bradenton, Fla., the privately owned First Watch has 80 restaurants in 11 states; 3 are franchised and 4 are licensed. About 10 locations are expected to open in 2010. First Watch expects to grow to 110 restaurants by the end of 2012, with about a dozen franchised locations open and more than 30 in various stages of development. P.F. Chang's China Bistro Inc. announced a deal with Global Restaurant Concepts Inc. to develop eight restaurants in the Philippines over the next five years. Global Restaurant Concepts, founded in 1997, focuses on casual dining service and premium pizza in the Philippines. Its first P.F. Chang's location is scheduled to open in Manila in the first quarter of 2011. The franchisor also signed deals last year to expand in the Middle East (34 units in 10 years) and in Mexico (30 units in 10 years). P.F. Chang's China Bistro Inc. is the parent company of two restaurant concepts: P.F. Chang's China Bistro and Pei Wei Asian Diner. The first P.F. Chang's China Bistro restaurant opened in 1993 in Scottsdale, Ariz.; the first Pei Wei Asian Diner opened in 2000 in the Phoenix metro area. Starwood Hotels & Resorts plans to open 49 new Sheraton hotels in 15 countries over the next 3 years to boost its international presence. About 90 percent of the new hotels will be outside North America, including 28 in China (17 this year), said Hoyt Harper, senior vice president for Sheraton Hotels and Resorts. Hotels are also slated for the U.S., India, Taiwan, and Poland. Starwood has been revamping the Sheraton brand for the past three years at a cost about $4 billion, working with more than 40 different developers who will pay for about 95 percent of that cost. From 2007 to 2009, the company shed 42 hotels bearing the Sheraton name for not meeting brand standards, Harper said, adding that another four or five hotels could exit the brand this year. More than 40 percent of Starwood's hotels fall under the Sheraton banner. Pizza Patrón posted comparable sales increases of 3.9 percent for 2009 compared with 2008. "Our unique Latin focus, combined with some very aggressive marketing campaigns, has allowed us to make significant gains in market share and overall sales growth," said Andrew Gamm, brand director for Pizza Patrón. Growth in Hispanic consumer spending from 2005 to 2008 was 6.4 percent, more than doubling the 2.9 percent rise in non-Hispanic consumer spending in that period, according to a December 2009 analysis by the Latinum Network. On the marketing front, Pizza Patrón launched two campaigns in 2009 (introducing its lower-priced 12-inch Amigo Pizza, then offering steep discounts on them for a limited time) that resulted in a 22 percent increase in the number of pies sold and a 17 percent rise in gross sales over 2008. Said Gamm, "There are plenty of customers out there. They expect great food and service, and they don't want to pay a lot for it, it's that simple." Pizza Patrón, founded by Antonio Swad in 1986 in Dallas, operates 96 dine-in and carry-out restaurants in 6 states with 40 more under development. The Counter, a modern, health-oriented version of a classic burger joint featuring a build-your-own-burger menu, has signed two new area developers. Greg Finefrock and Dennis Rohde of G&D Management in California, will open a West Hollywood location in March, with four more units planned in Los Angeles County for 2011 and 2012. And sisters Christina and Catyana Azinian of Nevada Counter Inc., have signed on to open nine locations in Los Angeles and Las Vegas over the next four years, with the first set to open in Las Vegas later this year. Founded in 2003 by Jeff Weinstein and based in Culver City, Calif., The Counter currently has 23 U.S. and 2 international locations. Red Mango has signed a development agreement for five stores in North Carolina. The deal with with Steve Mosh (Carolina Mango Inc). covers a six-county corridor covering the Research Triangle and Piedmont Triad, including Raleigh, Durham, Chapel Hill, Winston-Salem, and Greensboro, where the first store will open this summer. Mosh, who lives in Greensboro, recently retired after a 30-year career with Ecolab, a global supplier to the foodservice industry. "I didn't want to be just one more franchisee of an existing, well-known brand. What I wanted was to find an emerging and exciting brand," he said. "I started really digging into Red Mango's company history, its evolution, and plans for growth, and I realized it was a perfect fit." Red Mango, which opened its first store in Los Angeles in July 2007 and launched its franchise program last year, has grown to almost 60 locations across 14 states. The company has targeted 550 U.S. locations in the next 5 years. Red Mango's investors include CIC Advantage Holdings LLC. The newest outpost in Freshii's national expansion effort, Nashville, will be operated by franchisees Daniel McCarthy and Olivia Sarratt. The couple moved to Nashville from Los Angeles last year with their two daughters. McCarthy, a Boston native, spent 10 years in the film industry and also was involved in real estate. Sarratt, born and raised in Nashville, is a writer who runs a local magazine. Both will be involved in operating the franchise. "I found a concept with really great tasting, quick service, healthy and organic food. As a father interested in a healthy lifestyle for my family, Freshii is a no-brainer and I can't wait to open," says McCarthy. The brand, which started in Toronto and is now headquartered in Chicago, has opened 16 restaurants in the U.S. and Canada and has another 100-plus in development in New York, Chicago, Washington, D.C., Colorado, Los Angeles, Orange County, Houston, and Eastern Europe. Elevation Burger has signed a seven-unit deal for Westchester County, N.Y., and Fairfield County, Conn. The franchisee, Daniel Magnus, is a business professional with a career in media and brand development and the former CEO of Metro New York Inc., publisher of a daily newspaper. Elevation Burger, founded by Hans and April Hess in 2002, is a fast-casual concept serving 100 percent USDA-certified organic, grass-fed, free-range beef burgers freshly ground on the premises and fresh-cut French fries cooked in 100 percent olive oil. The first Elevation Burger opened in 2005 in Northern Virginia and the brand began franchising in 2008.